Groundbreaking was held on Sunday, June 13, 1926 and completed by December 12 of that same year when meetings were first held in the building. The main hall had a seating capacity of 600 with an amusement hall directly below. On Sunday, January 2, 1927 the building was dedicated by Pres. Heber J Grant. Later that year plans were made to greatly expand the building to form the Los Angeles Stake Tabernacle. Construction on this Stake Center began January 3, 1928 and was completed on May 22, 1928. A unique feature of the Tabernacle was a Lounge, the idea of Stake President Caldwell, that offered a luxurious parlor for socializing. 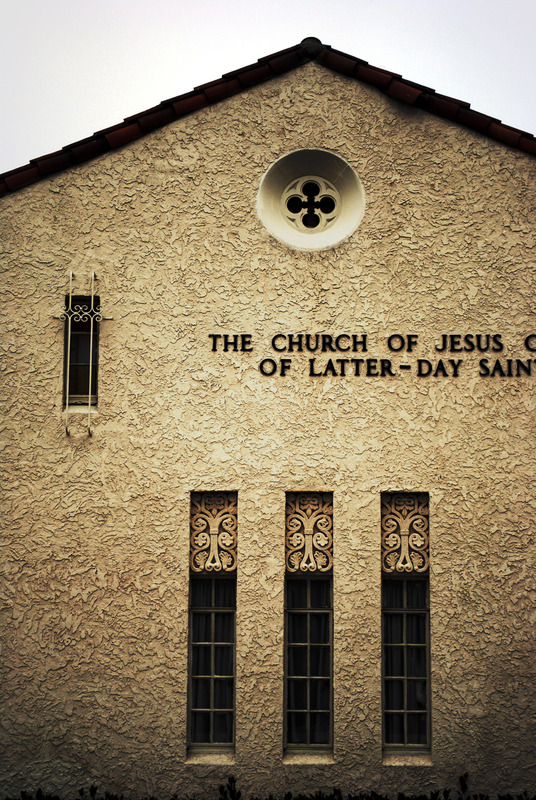 The Stake Tabernacle was eventually dedicated on June 2, 1929. 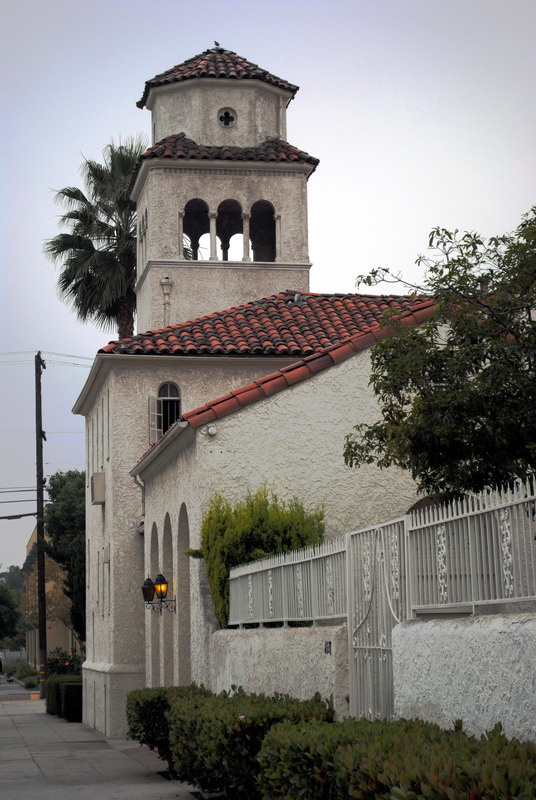 More recently the building housed a Spanish-speaking Stake, but now houses only a single Spanish-speaking ward.